CharityStars.com , the world’s leading online charity auctions website, is offering a number of money can’t buy experiences in the exclusive world of Italian fashion; online now. These include fashion show invites, as well as clothing and accessories auctions. 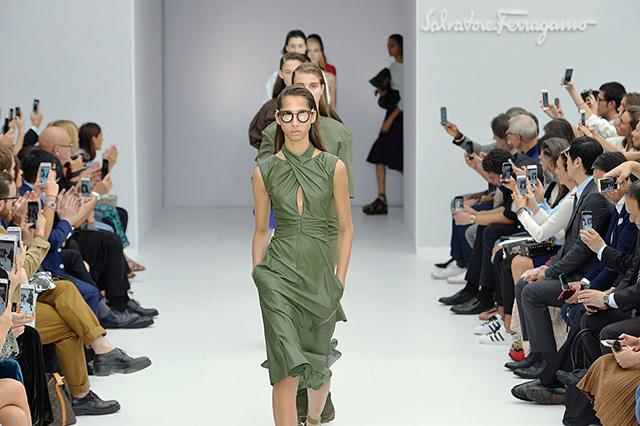 The fashion show invites come with opportunities to meet world famous designers such as Donatella Versace, along with tickets that aren’t available to the general public for some of the other leading fashion shows in Milan and New York such as Laura Biagiotti’s spring and summer 2018 show, as well as the Chiara Boni show. Operation Smile: Aims to promote and develop medical self-sufficiency in the countries where the non-profit organisations operate in order to ensure free access to specialist healthcare to every child. LILA Milano Onlus: The charities volunteers, social workers and professionals are a team of HIV-positive and -negative individuals who work together supporting PLHIV and preventing the transmission of HIV. They are committed to defending the right to health, and to affirming solidarity against all forms of exclusion and the violation of rights of people living with HIV or AIDS. Only the Brave Foundation: Created in 2008 as a not-for-profit organisation of OTB (the parent company of Diesel, Maison Margiela, Marni, Paula Cademartori, and Viktor&Rolf), the mission is to re-balance social inequality and contribute to the sustainable development of less advantaged areas and people throughout the world. Never Give Up and Action Against Hunger: Both charities are committed to the research and treatment of Eating Disorders. Associazione Amici del “Centro Dino Ferrari”: Founded in 1984 by the engineer Enzo Ferrari, in memory of his son Dino, the association Centro Dino Ferrari supports and promotes scientific research in the field of neuromuscular and neurodegenerative diseases thanks to the help of generous donors. Fondazione Theodora Onlus: The mission at the heart of Theodora is to contribute to the wellbeing of children in hospitals, hospices and specialist care centres by providing visits from professional performers who have been trained to work in a medical environment. CharityStars.com headquarters are in London and Milan. CharityStars.com commits to no upfront fees, re-investing only 20 percent of the total auction proceeds to cover the full suite of services and operational costs. Excluding this fee, 100 percent of the net funds raised, go directly to the benefitting non-profit.